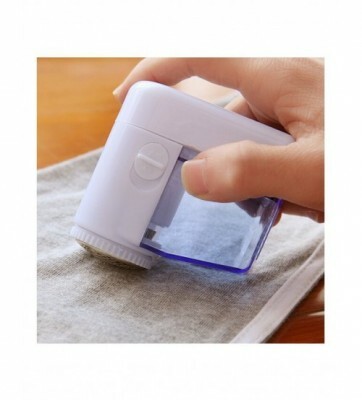 Easily removes hair, dust and fluff from clothes, furniture & curtains, Ideal for easy removal of lint from clothes and textile goods, Metal lint grid, On/ Off switch. Ergonomically formed, Removable transparent. Size: Approx. 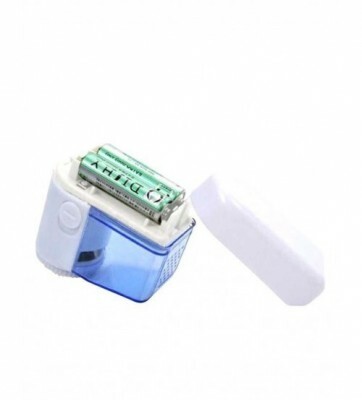 9.5cmx7.5cmx5.5cm/3.7″x2.9″x2.2″ Power by-2x1.5V AA batteries-(Not included). Note: Color will be sent in random! 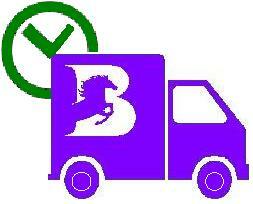 Scope of application: such as: vest, sweaters, skirts, T-Shirts, scarves, socks! Trim the hair ball method: The sweater/blankets, fur ball part is arranged in the flat position of flattening. Will switch out to ‘ON’ file, don’t force according to the cutting surface, but a little trick up slowly to remove hair ball. 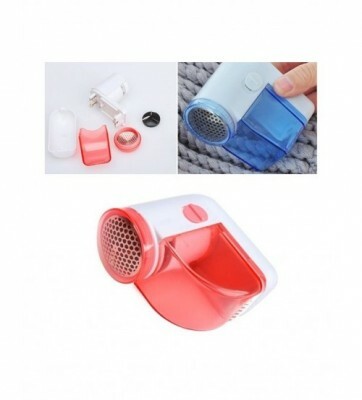 The hair ball came to accumulate eight points, cut off switch will be unloading trays, remove hair ball, continue to use before the containers loaded back.In order to avoid hair ball went flying.